Home Invasion and burglaries are at all time high in recent months, and it could get worse. 911 works but it takes time for help to arrive. If you believe that the first line of defense against criminal elements is yourself, then equip yourself with important information on what to do when you are in a situation that you need to defend yourself and your family inside your home. Doing our daily routine exposes us to all sorts of risks. Very recently, even COPS are becoming a target. These life's realities of our present only reinforce the need for us to be always on the lookout and ready to either avoid or react to the threat. To some, carrying a weapon is a matter of right, but for us it is a huge RESPONSIBILITY. Get educated, be informed and ready on how to successfully survive threats and avoid becoming a victim or part of the statistics. Be ready to defend yourself and your family when a situation arise outside your home. NRA's Crime Prevention Program " Refuse To Be A Victim" is a highly recommended and a must attend to seminar. The nationwide and uniform set of information that covers personal, home, vehicle, campus, internet,etc. and all other security and safety tips are all vital tools that everyone must have in their knowledge toolbox. If you already have a firearm, a pistol, rifle, or shotgun and you would like to become more familiar with your particular firearm. Then, these courses are recommended for you. Copyright © ARMED AWARENESS ACADEMY, LLC. ​Owning a Firearm, Possessing, and Carrying it is not just a matter of RIGHT or PRIVILEGE, but most of all- RESPONSIBILITY. We need responsible gun owners and the first step is getting the License To Carry Certification Course. Undergoing the process will help us- gun-owners to fully understand the nuances of carrying a firearm for purposes of personal protection. Open carry option for license holders is approaching fast and correct information is vital for the continued exercise of our right to bear arms, not to mention keeping us away from the legal troubles that could result in wrongful use or exercise of the permit to carry a handgun. 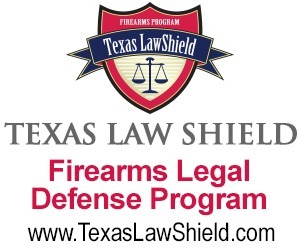 If you have no experience and would like to build a foundation on firearms safety and basic knowledge in operating different types of firearms, like pistol (revolver or semi-automatic) rifle, or shotgun. Then, these course are recommended for you.